We know you have plenty of options when choosing a dentist in the San Diego area. Our general and cosmetic dentistry patients choose us because they love the way Dr. Marcos Ortega and his staff focus foremost on each and every patient’s comfort during their visits and are always friendly and warm. We know that many people have anxiety when it comes to visiting the dentist and we do everything we can to make sure patients feel at ease, understood and involved in decisions regarding their oral health. We offer a variety of technology and patient comforts, such as digital x-rays, The Wand and needle free anesthesia to ensure you are calm and relaxed during dental care. 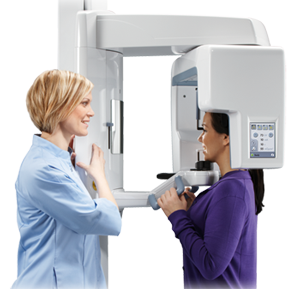 DIGITAL X-RAYS | Digital x-rays offer significant advantages over traditional film x-rays. They are faster than film x-rays, the resulting files for digital x-rays are easily transferred and easy to enhance and, maybe most importantly, require less radiation. THE WAND | Many people think the sting in needle anesthetic comes from the needle piercing your skin. Often the sting comes from the doctor injecting anesthetic too quickly. The Wand is a computer controlled device that injects anesthetic at a slow and monitored pace so patients don’t experience the sting they associate with needles. NEEDLE FREE ANESTHESIA | Some things about dentistry lead different people to “squirm”. Needles need not be one of them. 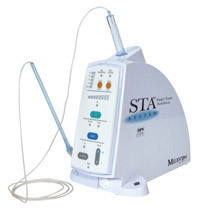 We have the ability in our office to provide needle free anesthesia. Yes, seriously. We strive to offer the best cosmetic and general dentistry possible to the wonderful people of the San Diego area. Dr. Marcos Ortega and the fantastic team at our San Diego dental practice undergo continuing education to stay at the forefront of modern dentistry and look for new and better ways to make sure our patients always feel comfortable and cared for. Whether you’re interested in digital x-rays, The Wand or needle free anesthesia, call and schedule a visit today to find out for yourself why our patients love visiting us.